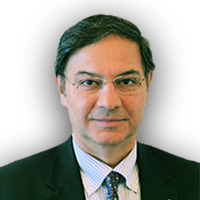 Ali Malihi is a 34-year veteran of the financial services and venture capital industry, with solid experience in asset management, corporate finance, venture capital and buyout and incubation stage entity formation. In the past two decades he has created a global network of sophisticated institutional and family office capital sources from the MENA Region. His network includes family offices and institutions such as banks, investment banks, pension and endowment funds as well as sovereign wealth funds and their surrogate funds. As Co-Founder and Managing Director of Back Bay Management Consulting Group, Inc., a privately held financial advisory and consulting company, he has assisted several companies with their strategic positioning, corporate finance and capital formation issues. His activities have been targeted toward small to mid-size U.S. companies and certain institutional investors in the U.S., Europe and the Middle East. Ali has co-founded start-ups, established marketing infrastructures, explored market opportunities in the emerging and developing countries and helped with the capital formation at various levels of funding for several companies. For a number of these organizations, he has also served as a member of their top management team and of their respective boards. Ali’s expertise as a seasoned Certified Financial Planner (CFP) in the 80’s and 90’s has helped him develop/enhance his two decade career and experience within the financial services industry. Also as a Certified Investment Management Analyst (CIMA), he managed portfolios on behalf of high net worth investors and family offices. His work experience includes a long tenure as Senior Vice President at the Chairman’s Council with Paine Webber (currently UBS http://www.ubs.com/) and a shorter time with Lincoln Financial Group (http://www.lfg.com/). Ali has a B.S. in Mechanical Engineering from University of Massachusetts-Lowell and an MBA in finance from Boston University. He is multilingual and currently serves on a non- profit advisory board in Boston.